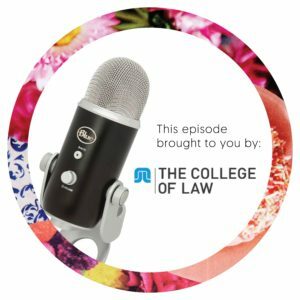 My guest in this week’s episode of the Happy Lawyer Happy Life podcast is someone whose independent, tenacious attitude has seen her create a unique path for herself at the age of just 25. Freya Gardon started working with me at Brisbane Family Law Centre straight from school nearly eight years ago, and in that time I’ve seen her develop into a fiercely passionate and highly-skilled solicitor. Now Freya’s setting her sights on a Psychology degree, and is combining her passions together to forge out a lifestyle that makes her happy and fulfilled. Her determination and eclectic skill-sets mean that she’s able to continue working in law while following new interests elsewhere. Listen to the episode to find out how!